Another contest with the snow during the summer time was here. We spent nice sunny day in Czech city Tabor at Tomas Garik Masarik square, 24th of August 2013. 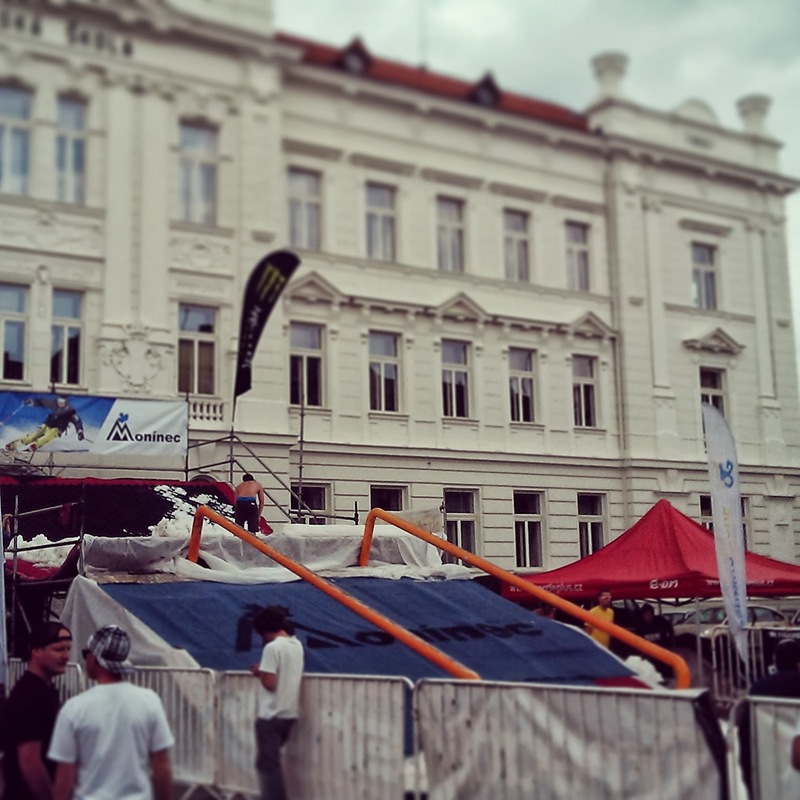 The contest was opened for freeskiers as well as snowboarders. With the small delay in the beginning, we started to ride two orange tubes after 12pm. It looked lil bit scary, because the obstacles were quite steep and snow was only on the top and lil bit on the landing. Basically, who didn't manage to slide entire rail, made some rollovers on the carpet. After couple of minutes, when everybody got used to the setup, the event started to graduade. Music was pretty loud, in the end we left Tabor almost deaf, but speakers were doing a good job with supporting every rider and trying to wake up the audience. Set up form the top and bottom. 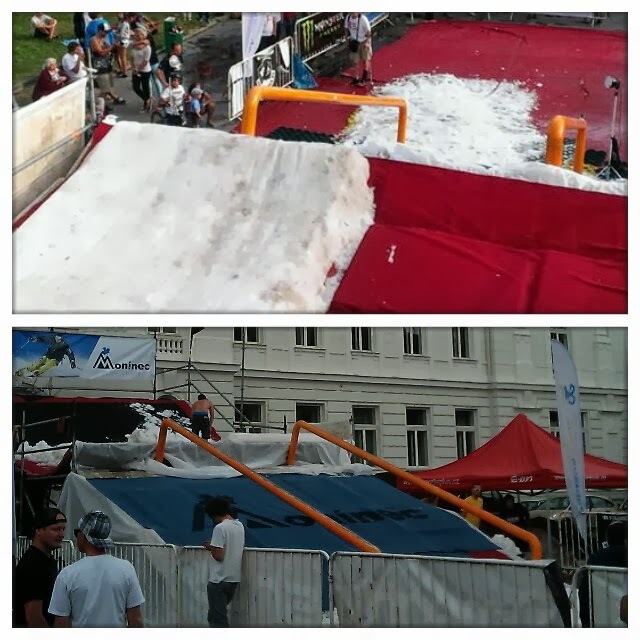 Approximately after one hour riders were split on freeski and snb part for the finals. There were 8 riders in each category. Me, as the only female skier and two other girls on snowboards, were allowed to ride finals as well. 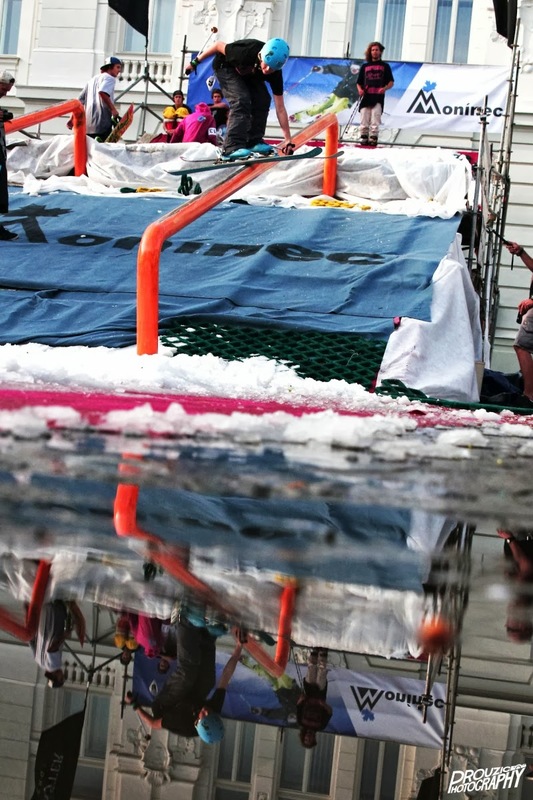 I must say, all the 27 in and out, switch ups, lipslides and other tricks looked really impressive on theat set up. Thumbs up guys! 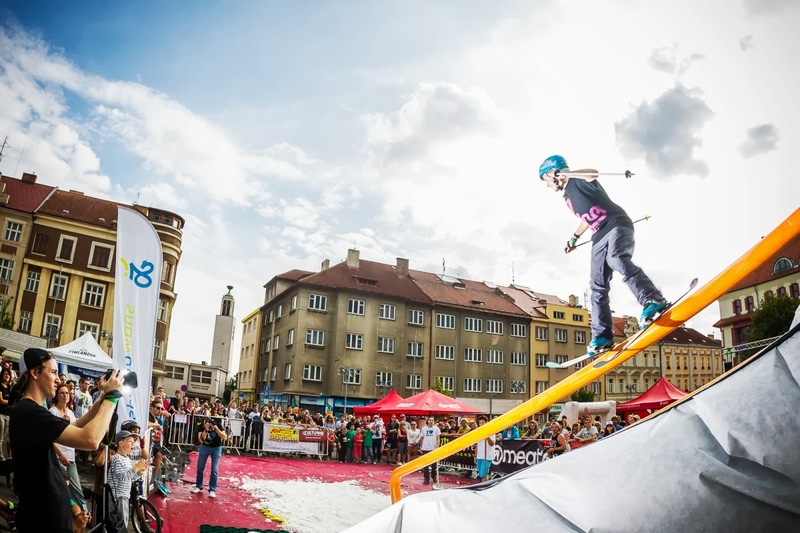 Mudroch, as the main freeski judge announced the results: 1) Michal Pijenc Klápšte, 2) Pavel Pleskač, 3) Jakub Steklý. I was having a lot of fun. I tried some easy tricks I was not afraid of to throw on such a set up, such as nose bonk, nose press, tail press and 27 out. Also, I was given small price, which made me happy. In the end, organizers did a good job. I think all the riders had fun riding the rails and enjoyed time all day long.